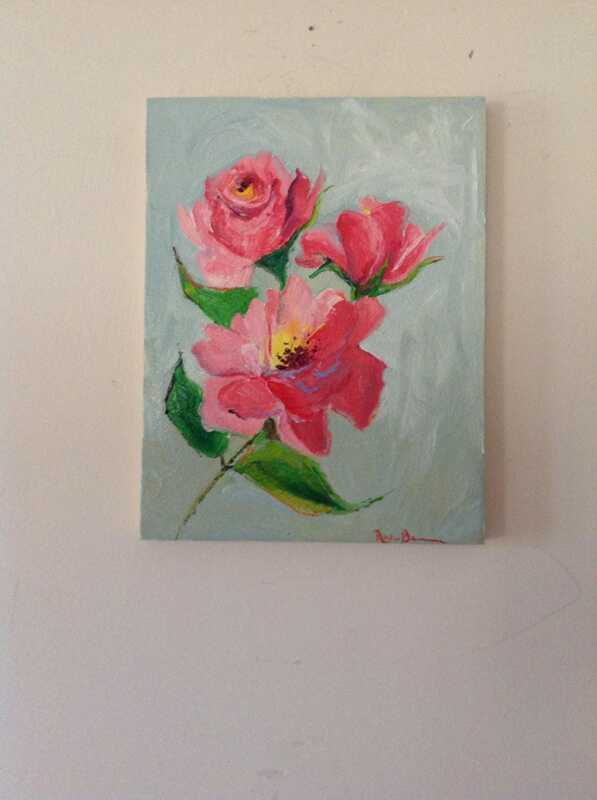 SUMMER ROSES is an original 9" x 12" oil painting. 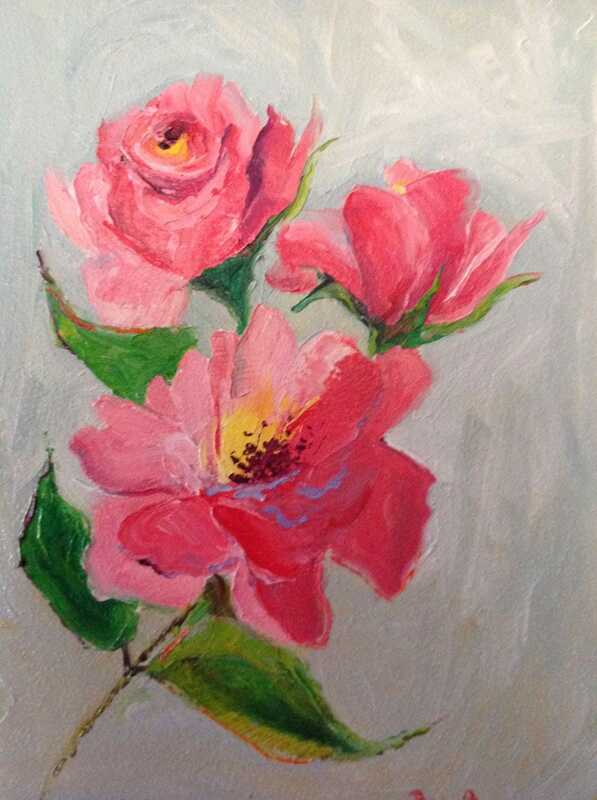 The painting is of some beautiful pink roses on a light blue background. 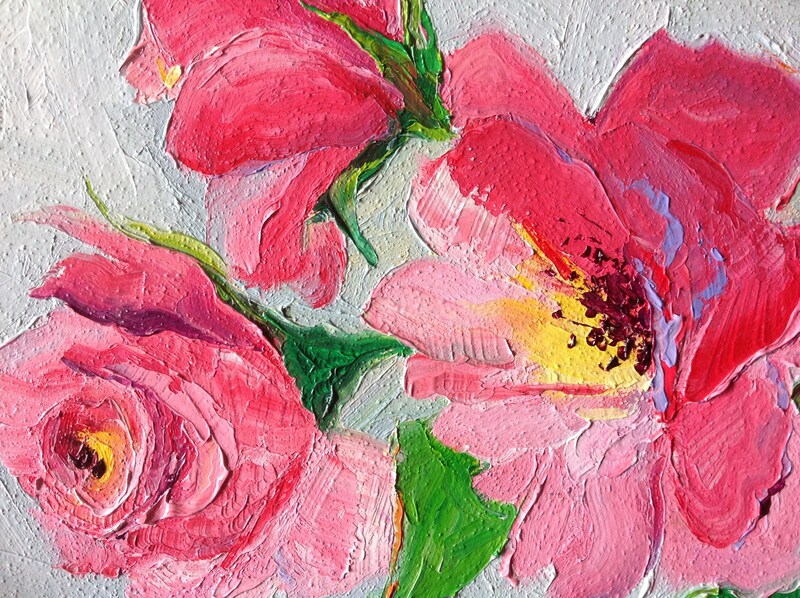 The roses are painted with an impressionist style, with bold brush strokes and color mixes. 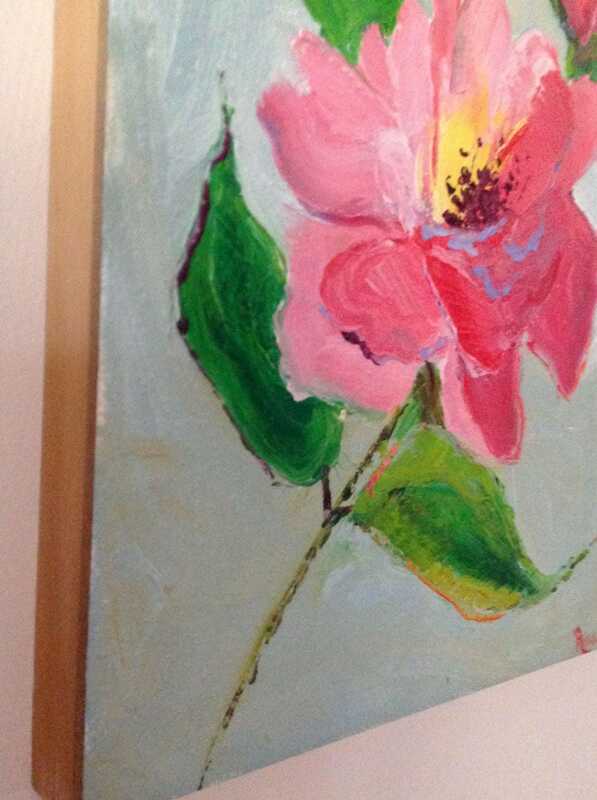 It will enhance many color schemes in a room The painting is done on professional canvas board. The depth of the canvas is 1" wide and is wood, as you can see in one of the pictures. Since it has wood sides, it does not need to be framed.